Metallurg Novokuznetsk has snapped up 34-year-old Russian international forward Alexander Frolov, whose long and illustrious career has encompassed spells with the Los Angeles Kings (542 games, 169 goals, 216 assists), New York Rangers (43 games, 7 goals, 9 assists), Avangard, CSKA, and Torpedo, plus World Championship gold in 2009 and World Juniors gold in 2002. CSKA has persuaded 31-year-old Canadian forward and Belarusian citizen Geoff Platt, scorer of the Army Men's series-winning goal against Jokerit in last season's playoffs, and 21-year-old goaltender Ilya Sorokin, one of the most impressive young players of the 2016-17 season, to stay on for another year with the Muscovites. 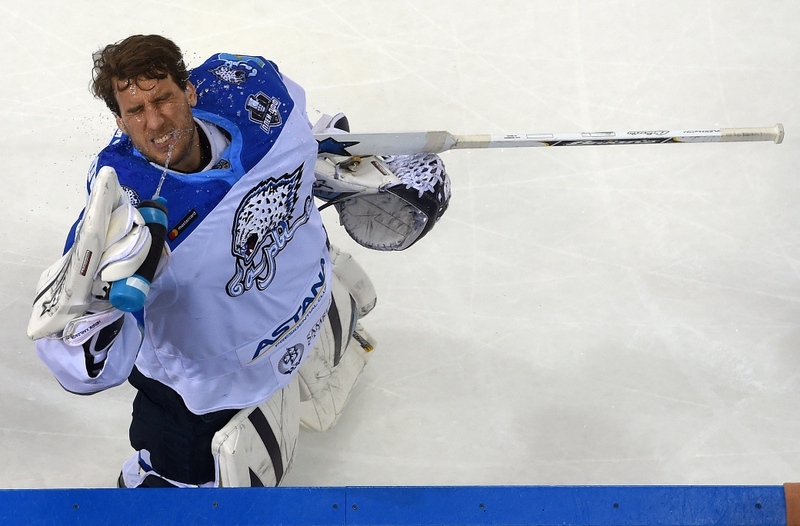 Another pair of players happy with their current surroundings are 33-year-old Swedish international netminder Henrik Karlsson,formerly of the Calgary Flames, who has signed up for two more years at Barys Astana, and Avangard's 31-year-old forward Nikolai Lemtyugov, who has agreed a new, two-year deal. HC Sochi signed 24-year-old Canadian forward Sean Collins on a one-year contract. He also spent the previous season at Kunlun, recording 39 (13+26) points, and has played in 21 NHL games in spells with the Washington Capitals and Columbus Blue Jackets. Jokerit Helsinki welcomes 24-year-old forward Julius Rantaeskola and 24-year-old defenseman Nico Nurmikanta, both signed on a one-year deal from Finnish club Kiekko-Vantaa. Sibir and Admiral agreed a swap which sees the Novosibirsk men sign 24-year-old forward Andrei Sigaryov, formerly of Admiral, Lokomotiv, SKA Saint Petersburg, and - back in 2010-11 - Philadelphia Revolution of the EJHL, while Admiral receives financial compensation plus 22-year-old forward Vladimir Butuzov. Vityaz has strengthened its foreign legion with the addition of two Swedish internationals, 26-year-old defenseman Niclas Burstrom, from Skellefteo in the Swedish Hockey League, and 30-year-old forward Patrik Zackrisson, familiar to KHL fans for spells with Lev Prague and Atlant. 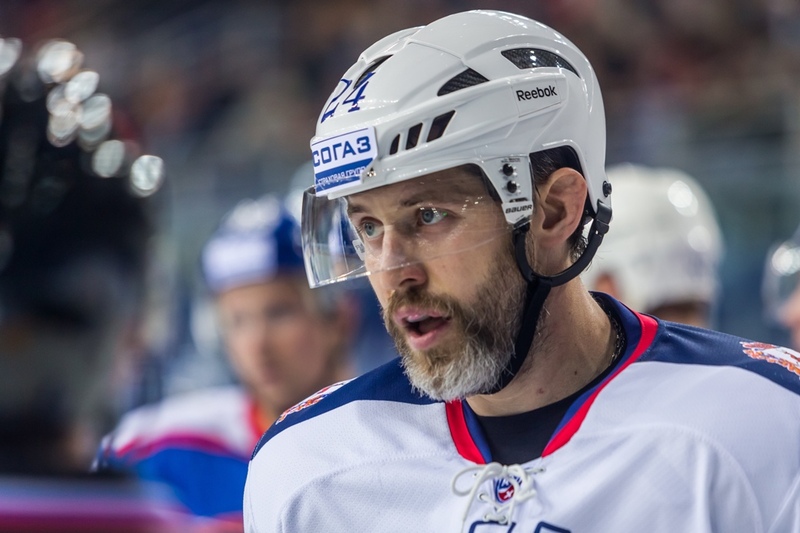 The Moscow Region men also clinched two-year deals with a pair of much-traveled Russians: 33-year-old forward Dmitry Semin, who has featured in every KHL season during his years with Torpedo, Salavat Yulaev, Avangard, Atlant, and Lokomotiv, and back in 2001 captured World U18 Championship gold, and 25-year-old forward Alexander Denezhkin, signed from the VHL but with a resume which includes spells at Spartak Moscow, the Des Moines Buccaneers of the USHL, and the Oshawa Generals in the OHL. Avangard has enlisted the services of 26-year-old defenseman Maxim Berezin from Neftekhimik Nizhnekamsk. Berezin won the U20 World Championship gold with Russia in the 2010-11 season. Spartak has agreed a two-year deal with 23-year-old forward Arseny Khatsei, formerly of Severstal, Ugra, and SKA Saint Petersburg. Finally, 24-year-old defenseman Kirill Sviyazov has moved from Severstal to Metallurg Novokuznetsk.